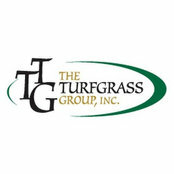 The Turfgrass Group has established itself as a premiere source for exclusive turfgrass cultivars that remain on the cutting edge of turfgrass technology and engineering. Through collaboration with our private sector and university breeding program alliances, TTG licenses the production of one of the finest collections of superior “value added” turfgrass varieties available. Each of our Certified cultivars is of known pedigree and has exhibited reliable performance and consistency in practical application over time.